Vehicle tracking for a small business is a very different proposition to tracking a large fleet of vehicles. As such it makes sense not to rush into choosing the first tracking company you come across. You need to choose a company that provides a good service for small businesses in particular. Is it worth having vehicle tracking even if you only have a few vehicles on the road? Definitely. There is a very good reason for this. You can still save money by tapping into all kinds of knowledge about your vehicles. 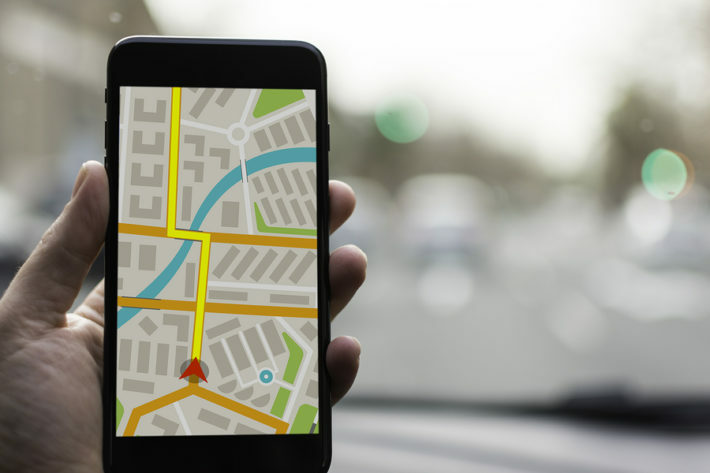 Indeed, while bigger businesses can save money by utilising the information gleaned from vehicle tracking, they are not working on the same margins smaller businesses are. The difference made to a small business may not be large in terms of money, but it could make a significant difference in terms of the bottom line. A bigger difference, in fact, than you may at first realise. The biggest cost to any business that uses vehicles to reach customers and perform other duties is that of fuel. The only problem is you can’t do anything about those costs unless you have information to go on. That information comes via vehicle tracking, where you can see how many miles each vehicle has travelled each day. By being smarter about the way you use your vehicles, you could find there are bigger profits in your business just waiting to be unlocked. This holds true even if you opt for passive tracking and you only have a few vehicles out on the road. Which type of vehicle tracking makes the most sense for a small business? You have two main choices here. You can either go for passive vehicle tracking, which stores the data for you to access whenever vehicles return to base, or active tracking, which provides real-time information. Obviously it will depend on the type of business you run as to which system makes the most sense for you. If you have a taxi business you’ll certainly benefit from knowing where each of your six cabs is at any one time. However if you run an office-based business that provides each of its salespeople with a company car, you won’t need up-to-the-minute information on where each car goes. Getting that information at the end of every day (or even every week) would suffice. You can still use it to see how efficient your salespeople are with their journeys. It’s not just a question of choosing the cheapest solution. You need to consider what type of information is going to be best for you. For example if you’re going to benefit from having real-time information so you can become more productive and efficient, this could garner really big savings for your small business. You’ll pay more to get active tracking and you’ll have monthly fees to consider as well. Yet the savings you make by using the information you get on a continual basis could make those extra costs a moot point. So the cost of the solution you choose has to be weighed up against the benefits it will provide. Of course you may not need active tracking, but in any case you should consider the various companies providing systems that are targeted at small businesses today. Which companies are worth looking at? There are a variety of companies providing tracking services that are worth looking into if you have a small business. No doubt you’ll have heard of TomTom; this company offers WEBFLEET LITE vehicle tracking. One of the key benefits of this service is that the tracking device doesn’t need to be installed, which is usually the case with these services. It is easy enough to do yourself. This means you save on installation costs you might have to pay with other companies. Phantom is another tracking service to consider. They provide standard and bespoke systems. While the bespoke one is more likely to suit bigger businesses, you may find their traditional fleet tracking option suits your needs. You can choose how many vehicles to have a device fitted in. Furthermore the data can be viewed on a wide range of devices, including an iPad or smartphone. Fleetmatics is also worth looking into in more detail. As is the case with some of the companies mentioned above, this company has a range of products that would suit all sizes of business. For the purposes of small business, the Fleetmatics Reveal option is perhaps the most appealing. Even though it is the most ‘basic’ of the three options they have, it is by no means basic in what it has to offer. This includes geofences and numerous reports. Is this the time to get vehicle tracking for your small business? There will always be the opportunity to be a little hesitant about investing in vehicle tracking. We’ve already mentioned the idea of costs versus savings, not to mention the prospect of getting more from the vehicles you currently have by being smarter in how you use them. But you still need to make the leap in the first place. That’s why you have to choose your company carefully when investing in this service. 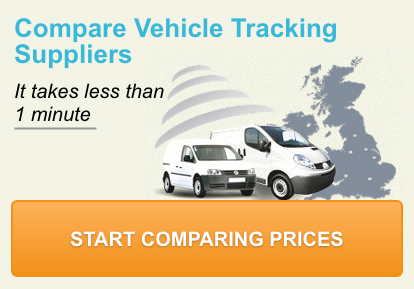 You may be able to start with just one or two vehicles that can benefit from vehicle tracking. Once you get the idea and you can see just how effective it is, you can get the remainder of your fleet fitted with them. The good news is there are lots of options available for small businesses in the UK today. You don’t have to have dozens of vehicles available to make the most of this service.